If you’re ready for a makeover this season but don’t want to undergo surgery, consider facial rejuvenation options using facial fillers in Issaquah. Dr. Michalak offers a full range of injectables and fillers that can visibly erase fine lines and wrinkles, sculpt your face, and help you achieve a more youthful look. Many fillers produce instant results and can be easily administered over your lunch break – just come in to our office for a quick treatment and walk out with a fresh new look! This is the first and only injectable filler that has received FDA approval for restoring volume loss in the cheeks. The aging process can give you a gaunt appearance as your cheeks begin to sink or lose volume. Juvéderm Voluma™ XC is made with hyaluronic acid (HA) and can help to lift the face to create a more youthful contour. Even though this is a temporary filler treatment, many patients report results lasting for up to two years! If you’re concerned about nasolabial folds or have very noticeable marionette lines, you may be a good candidate for Radiesse. This wrinkle filler is designed specifically for facial wrinkles and folds. 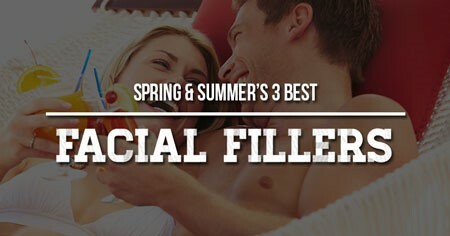 Dr. Michalak may recommend this filler to refine your facial contours for a more youthful look. This facial filler can also be used to plump up flat or sunken cheeks. Patients see results shortly after treatment, making Radiesse another attractive option for rejuvenating your look this season. Restylane is another hyaluronic acid injectable filler and can be very effective for correcting nasolabial folds. The HA filler can also be used for non-surgical lip enhancement, so if you are considering a lip augmentation procedure this season, talk to Dr. Michalak about the benefits of using Restylane over other enhancement options. Restylane can correct wrinkles of varying depth and smooth out the skin to create a rejuvenated look. Set up a consultation with Dr. Michalak for more information about facial fillers in Issaquah and other skin rejuvenation treatment options.